Addressing a European Conference on Zero Waste in Derry on Monday, Dr Peter Doran, set out a series of steps for the transformation of the North West’s economy. 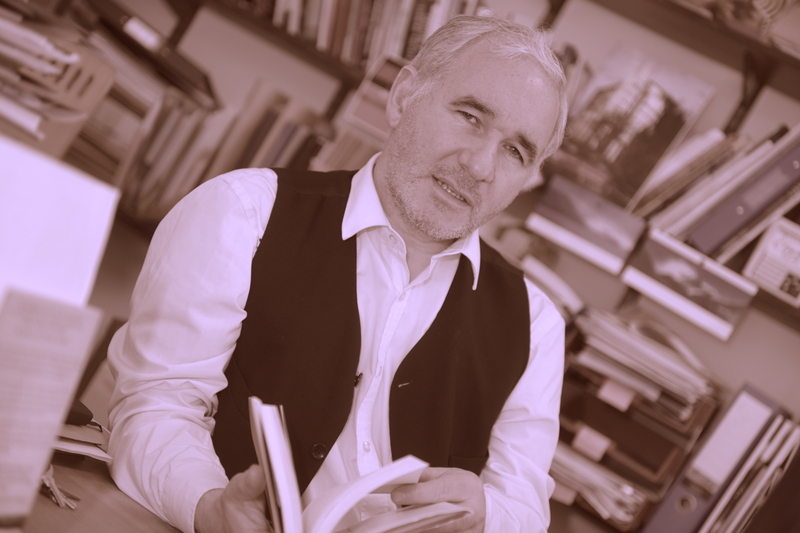 Drawing on cutting edge ideas taking root around the world, he set out a mini-manifesto of actions to put Derry and Strabane Council in a position to combine job creation, support for the social economy, and advanced sustainability. The Zero Waste Conference was convened by Zero Waste North West and included a number of top European experts in the line up of speakers. The Director of Zero Waste Europe, Joan Marc Simon was the keynote speaker at the ‘Countdown to Zero’ conference. Raised in Derry, Dr Peter Doran is a lecturer in sustainable development at the School of Law at Queens University and has recently helped lead a Northern Ireland Roundtable initiative, with the Carnegie UK Trust, to place wellbeing at the heart of the upcoming Northern Ireland Programme for Government, public sector reform, and Community Planning at the local government level. “Our vision of societal wellbeing, set out in the report Towards a Wellbeing Framework: Findings, calls for a new narrative that would put the citizen and communities at the heart of governance, focused on meaningful and measureable outcomes set out in future Programmes for Government. “Above all we have called for a transformation in the workings of Government, for more collaborative working between the centre and local government, and for enhanced citizen participation in the policy process. Our approach to wellbeing goes beyond mental and physical health and includes the cultivation of capabilities required for flourishing communities in an effective and participatory democracy. “When William McDonough, one of the originators of the ‘cradle-to-cradle’ concept, writes about intention and design he is making a profound observation about the root of our difficulties with the production of ‘waste’ (or as Mary Douglas prefers ‘matter out of place’ (1966). For McDonough ‘waste’ is currently built into our design systems, it is an inevitable result of a limited level of awareness that has accompanied the rise of the industrial revolution. For as long as we make decisions within silos – whether these are the silos that are government departments, or specialist parts of the economy, we’ll go on producing waste and other results that nobody wants. Only when our economic and policy decisions are taken with whole ecological, social, and economic systems at the front of our minds – at the heart of our awareness and intention – shall we begin to bring the earth back from the brink. As Pope Francis remarked in his Encyclical on the environment, we are fast turning the Earth into a pile of junk. In our own council doorstep we have created a monument to fragmented decision-making, non-decision making and environmental crime, resulting in one of the biggest illegal landfills in Europe. Nobody gets up in the morning and says “That’s another lovely day to destabilize the climate or undermine the health of our drinking water supplies by polluting water tables.” And yet, by our collective decision-making – blighted by fragmentation, incrementalism and a poverty of imagination – our institutions constantly produce results nobody wants. Blind spots prevail. We need to build ‘learning organisations’. Organisations where people are invited to reflect deeply on their own actions with awareness….awareness at the level of the system no matter how focused or specialized their task may be. Awareness based action must also encompass an awareness of the ways in which our historical institutions and institutional habits are often deeply implicated in creating the very predicaments we are setting out to resolve. This Awareness Based approach to action is all the more urgent as our contemporary ‘wicked problems’ are more accurately described as ‘predicaments’. They are typically no longer amenable to ‘off the shelf’ technical fixes, but require deeper considerations that involve ethical, cultural, social and technical responses. It is also clear that organisations – Governmental and private sector – must be clear about their long-term vision. People working in these organisations must be clear about what they care about (their own values) and the relationship between their values and their tasks. Otherwise, lives and outcomes become fragmented, disconnected and sterile. Eco-business clusters where all ‘waste equals food’ or where waste is treated as a resource for another nearby business. Such clusters have been supported by Zero Emissions Research and Initiatives, founded by the business entrepreneur Gunter Pauli. Michael Braungart and William McDonough have called for industrial design revolutions that would treat all biological and technical products as resources for re-integration into biological or industrial (re)production. Their ideas would challenge policy communities to mimic nature – to learn from nature rather than merely extract from nature. The circular economy is an industrial system that is restorative or regenerative by intention and design. It replaces the concept of a product’s ‘end-of- life’ with restoration, shifts towards the use of renewable energy, eliminates the use of toxic chemicals, which impair reuse, and aims for the elimination of waste through the superior design of materials, products, systems, and, within this, business models. 2 – Distinguishes between and separates technical and biological materials, keeping them at their highest value at all times. 5 – Establishes a framework and building blocks for a resilient system able to work in the longer term. The conventional linear model turns services into products that can be sold, and ultimately disposed off but this throughput approach is a wasteful one. In the past, reuse and service-life extension were often strategies in situations of scarcity or poverty e.g. during the Second World War, and led to products of inferior quality. Today they are signs of good resource husbandry and smart management. The benefits will be multiple – both in terms of the economy and the environment. The U.K. could save USD$ 1.1 billion a year on landfill cost by keeping organic food waste out of landfills—this would also reduce greenhouse gas emissions by 7.4 million tonnes p.a. and could deliver up to 2 GWh worth of electricity and provide much-needed soil restoration and specialty chemicals. City-Region Governance: Adopt the ‘Circular Economy’ and ‘Zero Waste’ as the over-arching framework and driver for the new Derry and Strabane Council’s Community Planning Partnership. Pursue this in partnership with Donegal County Council and agencies/partners in the Republic of Ireland. In a globalised economy and world of accelerating connectivity, notably in the circulation of ideas, knowledge, and opportunities for collaboration, city regions are global players in their own right. It is time to look to our own genius and resources to connect globally and build locally. At certain moments in our history, when Derry became the ‘City of Culture’ for example, we momentarily shifted our sense of place in the world and raised our eyes to meet the gaze of an international audience, an international cast of peers and participants. City-Regions today take their place in a world of sustained cultural, intellectual, economic and environmental conversations and initiatives. While the roles of senior civil servants and government departments cannot be ignored, they must not be perceived as ‘gate keepers’ when it comes to global circuits of policy exchange, innovation and business development. While demanding a regionally just level of resources and infrastructure, in the sphere of ideas, innovation and wealth generation the solutions are closer to home and to be found in the new online global commons of ideas, think tanks, and collaborators. We must cultivate the attitudes and the infrastructure that will embed a sense of ‘taking our place in the world’ as a City-Region in our own right. A Global City with a unique history, perspective and set of opportunities. In one of the names of the City, ‘Londonderry’, there is an explicit link to ‘London’, one of the most globalised cities on the planet. Perhaps it is time to think about a new ‘London-Bridge’….a new cultural, intellectual and economic bridgehead to the unique blend of culture, business networks, and intellectual ferment that is the city of London. Equally, we must engage more wholeheartedly with the global commercial and intellectual circuits that have converged in the new Dublin. Integration: Shift the language about ‘waste’ from a technocratic policy frame that focuses on infrastructure and off-the-shelf (recycled) consultants’ solutions. Re-imagine the ‘waste’ issue as a resource challenge that must drive our approach the wealth in a new green economy. Begin to think about the economy from a systems perspective, incorporating social and ecological imperatives. Engage every part of the social, economic and political system (locally and Europe-wide) with the challenge of our regional transformation. Put the priorities of the local economy first: kick-starting the drive for useful jobs, especially for young people. Open-Source: Think outside the box when it comes to designing a strategy, communication, intellectual input and delivery. Use the ‘collaborative commons’ (global online networks, peer-to-peer collaboration), to call on the best minds and most ambitious eco-entrepreneurs to contribute to an intelligent local economy for the city region . Think-Do-Invest: Work with Queens University and others, and local agencies to establish a ‘Circular Economy Think and Do Tank’ combined with a Social Economy Social Capital Investment Fund to offer cheap loans and advice to start-ups in re-manufacturing, transforming supply chains, energy co-ops, and ecological service providers.